SNMPcenter was founded and is curated by Christos Rizos, a specialist in digital technologies and product management, with more than 20 years of experience. Christos is actively leading Digital Transformation projects and brings to SNMPcenter his own unique perspective on the challenges, opportunities and methodologies of Digital Transformation. 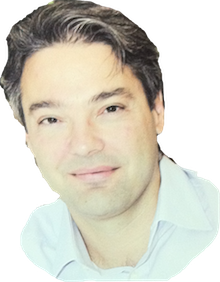 SNMPcenter founder and curator Christos Rizos is an entrepreneurial marketing executive with more than 20 years of experience in R&D and product management. Christos is a Product Line Manager at Intracom Telecom, leading the Digital Transformation of the company. SNMPcenter vision is to create an independent community and resource for professionals are interested to learn more or discuss Digital Transformation. Assuring the success of digital transformation initiatives is the “holy grail” of C-level executives and IT professionals. To succeed, you need to use the best tools available and implement best practices. SNMPcenter is a place for professionals to read news and articles, discuss with peers but also take educational courses, purchase books, equipment and white papers and even enjoy expert consulting services. If you are involved in Digital Transformation, our experiences – both wins and failures – can help you understand the digital technologies best practices, but also identify traps and how to avoid them. Having spent more than 20 years designing, developing and marketing solutions for a great variety of applications, has given SNMPcenter valuable insight and experience on real-life digital transformation use cases and technologies.